Thread: Windows 8 / IE 10: is it just me? We got a new Toshiba lap top mostly for my wife; it came with Windows 8 Home 64 bit. There's some learning curve win Win 8 but once you've accommodated yourself too it, it seems OK. I'm using in the included Internet Explorer 10 and it seems mostly OK. Some sites load slowly, e.g. Audio Review which is dead slow when not just simply dead. Standard and compatibility modes don't seem to make much difference. Any advice? Has anybody had a similar experience with AR on Win 8 or IE 10?? Has anyone tried Firefox or Chrome on Win 8? BTW, very helpful with Win 8 is a replacement for the 'Start' facility found in previous Windows versions but missing from the Win 8 Desktop. I'm using ClassShell, (presently just the Start facility), see Welcome to Classic Shell. It seems to be working well and restores a sense of normalcy to the Desktop for me. In regards to the issue with AR does that happen with any other websites? I'm using old technology XP & IE8, I wasn't able to access AR for a long time, you may have noticed my absence some time back , any way after AR switched to this new look I could get back on again. I was thinking of getting a new computer in the near future but I hate to hear of possible web issues. If I have to learn a new system I might look into Apple, any thoughts on that? Yep, I, for one, missed you in your absence. From time to time I have noticed AR was very slow. I think using Chrome as my browser has helped (on Vista), although I am not sure that that was the whole problem. However now with Win 8 AR is slower than ever; fortunately it is only with Win 8. I helped a friend buy a new laptop with Windows 8 64 bit about a month ago. I did try visiting audioreview using whatever version if IE was loaded on it and did not experience performance issues. I'm going over to her house this Sunday to set up some more software on it so I'll play around and see if things are still fine. ...and yeah, the first thing i did too was install the shell to get the classic start menu too. LOL, "setting up her software", is that what you call it these days . You must do good work, you are going back again. I helped a friend buy a new laptop with Windows 8 64 bit about a month ago. I did try visiting audioreview using whatever version if IE was loaded on it and did not experience performance issues. I'm going over to her house this Sunday to set up some more software on it so I'll play around and see if things are still fine....and yeah, the first thing i did too was install the shell to get the classic start menu too. 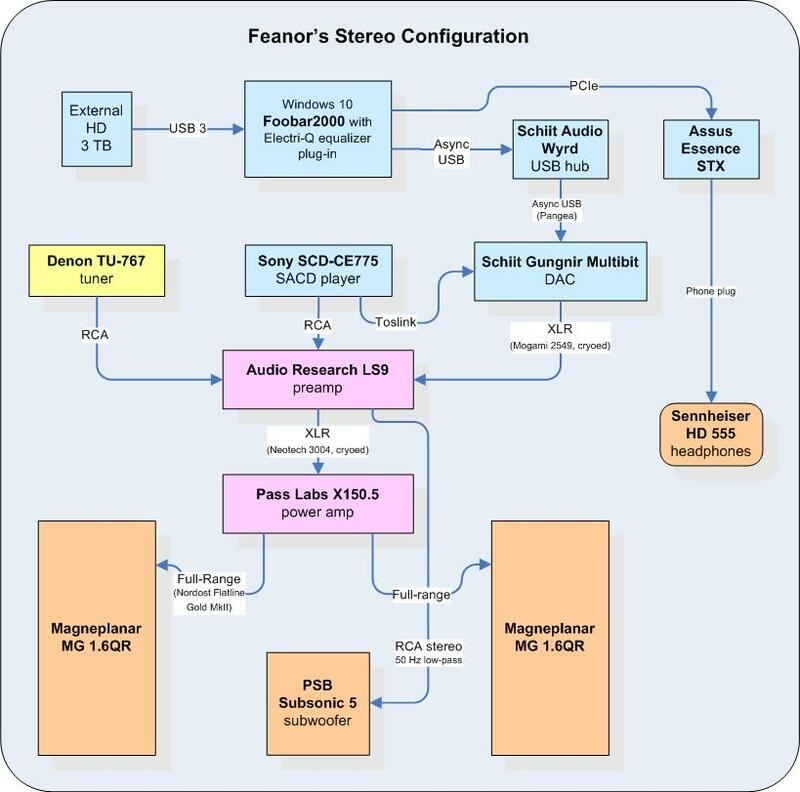 Hi Feanor...well i did go back again and had no issues with Windows 8/IE 10 on audioreview. Not using any strange plugins or extensions, just straight IE. Not sure why you are having performance problems. I'll try AR on Win 8 and IE 10 once again. The computer is my wife's and I rarely use it. She hasn't complained about sites she visits. I'm running IE10 on Win7/64. Some sites simply don't work properly with it. Others are very slow or are unable to connect. It also seems to have problems downloading pdf files.